Summers in Nelspruit are truly something else. They provide the perfect beach weather, without the beach. We have the humidity, the blazing sunlit days and even the palm trees. The only thing we lack is the sea. But that aside, summer is without a doubt our favourite season and one that brings a lot of business to our city! When the summer break comes, the best place to book your Nelspruit accommodation is at Nelspruit Lodge. We have air conditioned bedrooms and a swimming pool. Outdoor meals and cool evening breezes. We have everything you could need to stay cool and relaxed during your summer holiday in Nelspruit. We have the pleasure of enjoying a far longer summer than most parts of South Africa. While many parts of the country have only 3 months out of the year that can be called summer, we have up to 6 months of delightful heat (delightful depending on who you ask). The summer temperatures often soar to 35 degrees Celsius or more. And this is not your average kind of heat. Instead, it is accompanied by humidity that will make you want to spend each afternoon lazing in our pool. When the sun sets each evening, the temperature tends to stay toasty and you can expect the temperatures to remain in the high 20’s. We live in a summer rainfall region. Summers in our part of the world also often end with quick and temperamental thundershowers. The clouds can be seen forming early in the afternoon and they are quite incredible to watch. On average our part of the world receives 780 mm of rain each year. Into January, one of our hottest months, the local rivers will often flood. Seeing the roaring Crocodile River in flood is quite a sight. 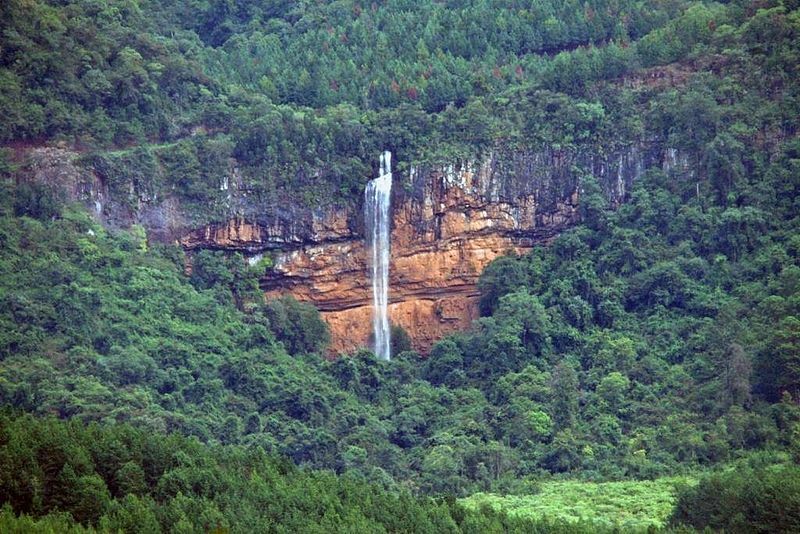 Guests to the town can visit the Lowveld Botanical Gardens to get the best sights of this raging river. A visit to the gardens is a must for anyone interested in seeing the indigenous plants in full bloom. Once the days start slowing down and becoming longer than usual, getting out there and exploring is a must for every holiday maker. Apart from seeing all of the local historical towns or hitting the shops, you might want to soak up some of the precious sunlight and just relax. There are two ways you can do this. Firstly, our town is surrounded by some of the most picturesque dams. You don’t have to pay a cent to visit certain dams and you can spend the whole day close to the waters edge, swimming, tanning and enjoying a braai. We recommend visiting Witklip dam, which you can easily find out on the Sabie Road. The other option is to head to the Mafunyane Water Park at Riverside Mall. You can take a dip in the swimming pools or get your heart pumping on the water slides. Summer is the best time to enjoy a holiday in Nelspruit and the best place to book your comfortable Nelspruit accommodation would be at our lodge. We’ll keep you cool in the heat!